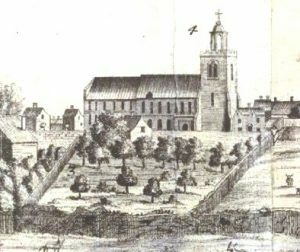 The History of Grey Friars • Illustrated talk by Alan Skinner at Mersea Museum • Friday 16th November 7.30pm. Admission £5 (£3 members) includes refreshments. Alan was principal of Grey Friars when it was an adult education college, but its history goes back a very long way. Before that it was home to part of Colchester County High School for Girls and then the school for Mersea before Monkwick was ready. In all, the site has a 2,000 year social and architectural history. It is now a hotel. SPECIAL OFFER: All attendees will be able to take copies of the “Learning Never Stops” charity’s books, including the history of Grey Friars, for just a small donation. Where to find us: Mersea Island is on the Essex coast, about 9 miles south of Colchester on the B1025. The museum is in WEST Mersea – follow the main road through the village to the High Street and down as far as the parish church. Turn left in front of the church to reach the entrance gates of the museum. Show local map or Link to Google maps (in a new window). If you come on the bus (63, 67 or 68 from Colchester), the museum is a short walk straight ahead from the terminus.